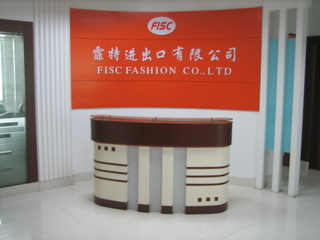 FISC Fashion Co., Ltd is a company who has 10 years of experience in doing various kinds of pet products and raincoats. Our products are popular in the market, we have got response from clients all over the world because of nice workmanship, fashion styles and the competitive prices. Our company has been well organized, the team to support the whole business including: sales, purchase, new products development, production control, quality control and also the after sale service. With clear order handling procedure and quality control system, orders have been run in standardized manufacturing, which help clients to avoid risks, which also help clients to be steady to earn the market and get response from their clients or consumers. We are a young company with passionate, company's guideline of service is fast response, quick action and help clients to sort out difficulties and problems as possible as we can. We believe to care about your clients, is to care about their goods delivery, the quality and the price.